Are your kids Batman fans or obsessed with all things Lego? 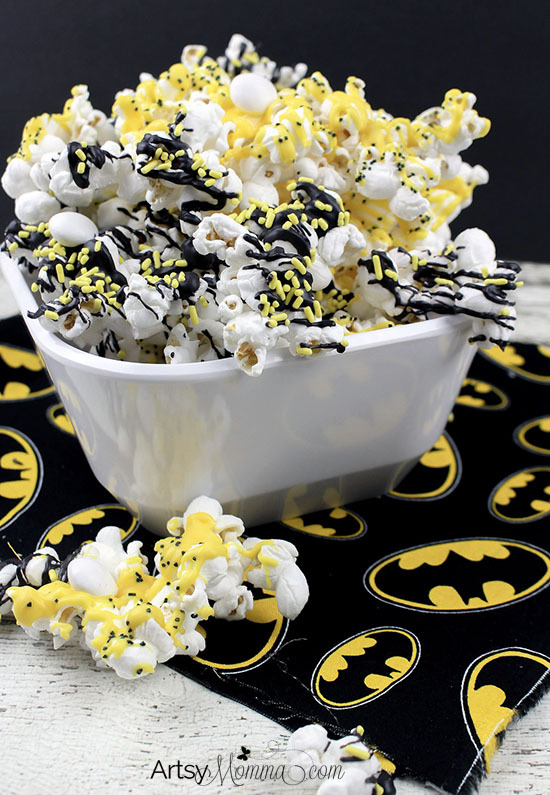 Check out this super fun The Lego Batman Movie inspired popcorn tutorial! 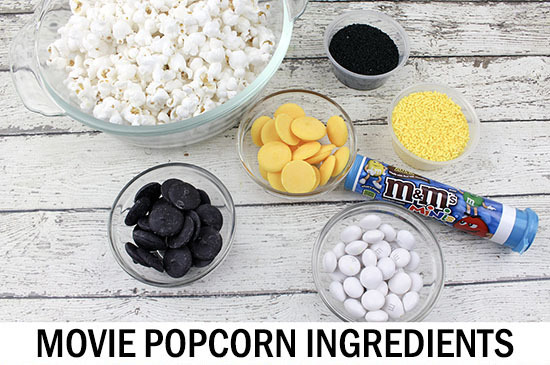 It’s the perfect way to make family movie night a bit sweeter. 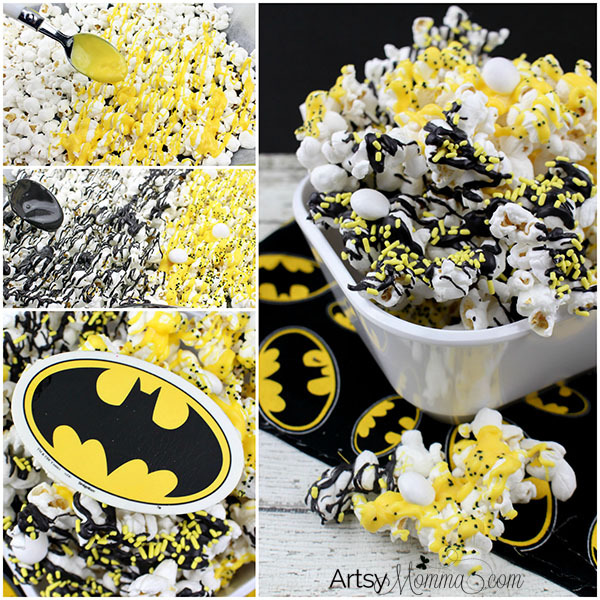 Add a few fun Lego or Batman themed craft ideas and you’ll have an entire themed movie day with family and friends. 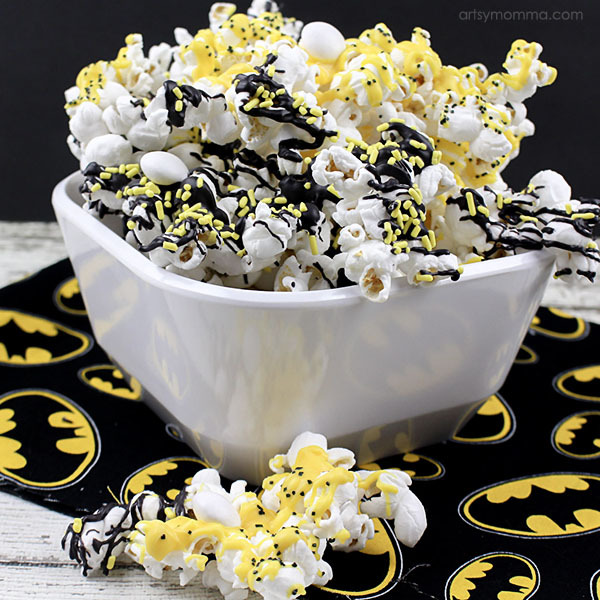 This yummy popcorn recipe is even simple enough to make for birthday parties (check out more Lego Batman party ideas here). *Please note that this post contains affiliate links. For more on this, click here. 1. Line a 9 X 13 baking sheet with wax or parchment paper. Transfer the popcorn onto the baking sheet in a single layer and set aside. 2. In a microwave safe bowl, add the yellow candy melts. Microwave for 45 seconds. Remove from the microwave and stir until melted and smooth. 3. 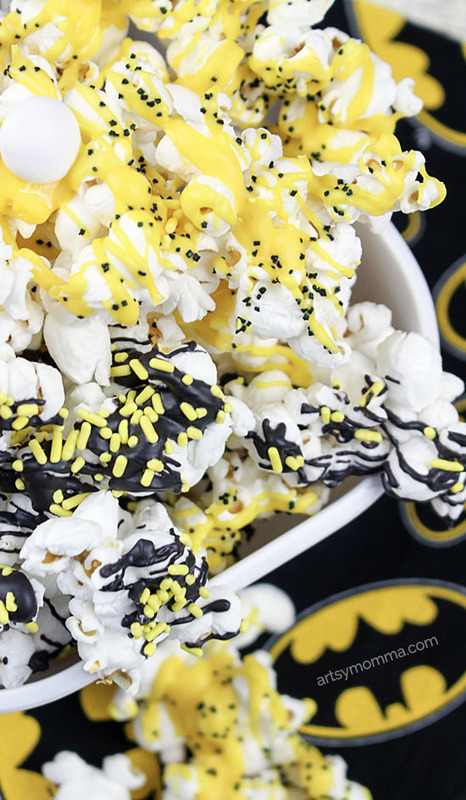 Drizzle the melted yellow candy over half of the popcorn. 4. Before the candy hardens, drizzle the black sugar crystals and white M&M’s on top of the melted candy. 5. Add the black candy melts to a microwave safe bowl and microwave for 45 seconds. Stir until completely melted and smooth. Drizzle on top of the remaining popcorn. 6. Before the candy hardens, sprinkle the yellow jimmies and white M&M’s on top of the melted black candy. 7. Chill for 15 minutes to allow the chocolates to harden. 8. Break into pieces and ENJOY!! *Store in an airtight container for up 2 weeks.